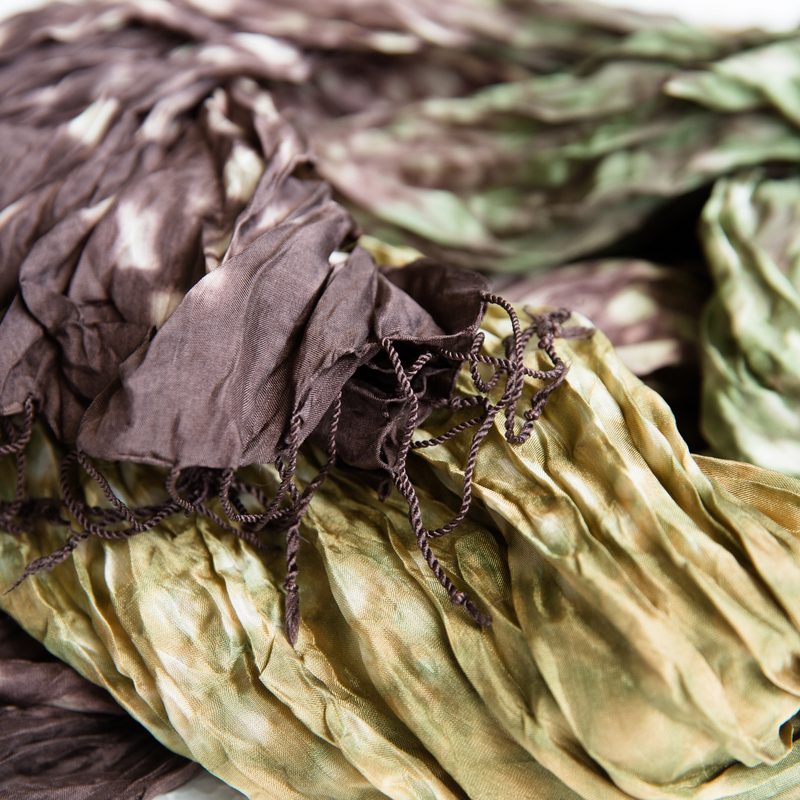 Lovely, versatile silk scarf tie-dyed in different shades of green and taupe. 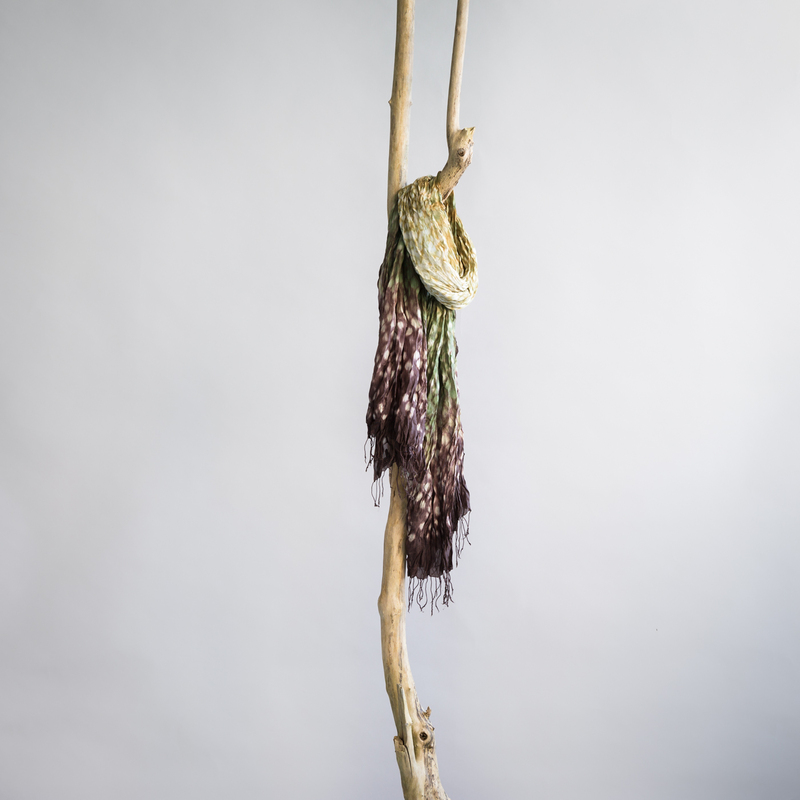 This scarf is made by hand by Vinita, a colour expert in northern Thailand. Vinita mixes her own colours and knows how to use them, creating spectacular multi-coloured pieces.